Stop letting pests ruin your day and your business. Reduce stress, save time, and protect your reputation. We exist to serve you. Find your industry to learn more. 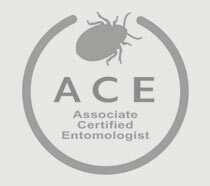 Thorn professionals understand commercial pest control. They know how to perform quality inspections to identify sanitation, structural, and storage deficiencies in your workplace. They know how to identify pest evidence and they understand pest biology. Our trusted Thorn professionals understand these practices and will work to keep your business pest free. Inspection is the most important step to getting good results in pest management. In commercial pest control, Thorn professionals inspect the workplace for pests and their evidence, pest vulnerable areas, food sources, and pest entry points. We are trained to see the things that others miss. The better we can identify issues, the faster we can attack the problem and have the best chances of success. Thorough inspection is key to getting good results. Know what’s happening at your facility or your property. Detailed documentation is critical for commercial pest control. You should know exactly where you are having active pests, deficiencies that are conducive to pest activity, and if current treatments are working. Don’t just guess and hope things are working. Thorn Pest Solutions makes your commercial pest management a science without any guess work. Good commercial pest management involves designing proactive programs. 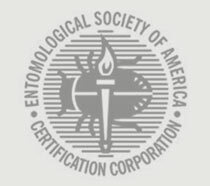 We need to be playing offense and not just defense when it comes to pest. We need to be tracking and fixing potential problems before they lead to pest infestations. This is where Thorn Pest Solutions excels.